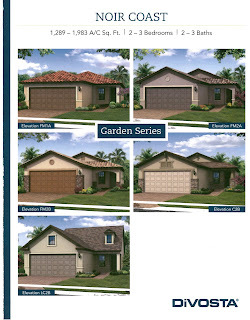 Divosta just announced the opening of new homesites in Islandwalk in Venice FL. The new homesites will be for Garden Series Homes, with lake views, on Posada St. Islandwalk Garden Series Homes include the Noir Coast, Taft Street, and Steel Creek floor plans starting at $211,990. View Divosta's interactive community map in this link. Posada St. is just southwest of Islandwalk's community center. As your Venice FL new homes specialist, I have a complete set of information on all Islandwalk homes, floor plans, and prices. Please click here for more Islandwalk Garden Series homes. Search all Venice FL new homes for sale on my website, www.davidbarrhomes.com.